Suffolk County Council is planning to put forward a scheme for a devolution pilot to the DCLG by 17th September. And what a dogs’ dinner is being proposed! The proposals will see some functions of Government devolved to local control here in Suffolk – powers like DWP benefits, the NHS, and other functions of central Government – but will also see functions already in local control re-organised. My understanding of what is being proposed is that, far from being a decentralisation, this will be quite a radical rethink of how local government is organised, all under a board made up of the Suffolk leaders group. Different local authorities take control of different areas of service delivery – so Ipswich might take all benefits, including DWP responsibility for Universal Credit, while West Suffolk Councils might take responsibility for environment services and waste, or Waveney might take responsibility for housing – across the entire county. All of this will be co-ordinated by a board of councillors, the PCC, the NHS and other partners. Essentially it will be about increasing partnership working, and I’m fairly sure the entire project is about sorting out SCC’s substantial budget problem with Public Health – by essentially merging it with Social Care and the NHS. So there will be little decentralisation here in Suffolk; while we will get powers from Whitehall, the public will be forced to try and work out which service is provided by which council. Given the public already struggle to know the difference between IBC and SCC, this will merely make it much harder – and makes the argument for a unitary council much more obvious. 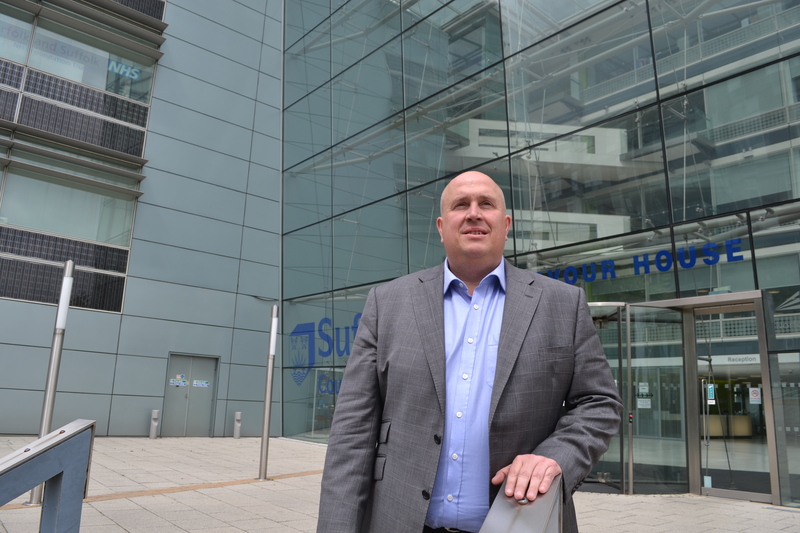 It will not have gone unnoticed in Endeavour House that anything that ties Ipswich into a cross county organisation, presented to the public as Suffolk Public Services, will make the argument for unitary Suffolk much more popular here in Ipswich down the line. However there is clearly a huge deficit in democratic accountability in this scheme. As a member of the public, if you have a problem with local authority services at the moment, you can contact your local councillor and they will (sometimes) help you. You have to choose between two types of councillor here in Ipswich, and three types of councillor elsewhere in Suffolk – County, District/Borough, and Town/Parish. But if this plan is introduced, and Waveney is suddenly in charge of delivering the tourist service, and a hotelier in Ipswich has a problem with something, who does the hotelier go to? A local councillor in Ipswich is unlikely to be able to do anything about service delivery from Waveney council. If Ipswich Borough Council passed a motion in Full Council on tourism, what method would there be to ensure Waveney carried it out? This democratic deficit is significant and must be made very clear to Suffolk Public Sector Leaders, who apparently all seem to be going along with this scheme. Who is in charge of what is yet to be decided by the councillors in charge of negotiating this – or by the officers who are advising them. My central concern remains the democratic deficit and I am reminded that without strong and clear leadership from councillors, officers have much more power. This proposed reorganisation will clearly make officers much more powerful. The reasons councillors want to do it are much more opaque. Claims made by a UKIP council candidate in a leaflet related to an offer of land by IBC for car parking at Suffolk One have been claimed as false by the Leader of IBC tonight. Alan Cotterell, UKIP constituency chairman and Borough Council candidate for Sprites Ward, claimed on a leaflet that Ipswich Borough Council had offered to sell land to Suffolk County Council for car parking at a discount. The offer was genuine, but the claims about a discount were not – a fact Mr Cotterell was apparently told immediately after a meeting at which the issue was discussed. Mr Cotterell had brought up the concerns of some local residents in and around the Suffolk One sixth form college about parking at a meeting of Ipswich Borough Council’s South West Area Committee, challenging visiting County Council Cabinet Member for Transport Graham Newman to do as residents demand and refusing to accept the council’s legal advice that this was not legally possible. During the row Labour’s council leader David Ellesmere revealed that Ipswich Borough Council had offered to sell land to the County Council to allow for a car park to be built, but had not heard back from the County Council. Mr Newman said that this was the first he had heard of the offer but he would investigate it. However at no time did Mr Ellesmere suggest that the land had been offered at a discount – indeed the Borough Council has a legal duty to obtain the best value possible for all land disposals. And tonight Mr Ellesmere confirmed that he had not offered a discount to the County Council – and that Mr Cotterell had been told that. Mr Cotterell has been asked about the claims in his leaflet but has yet to respond to questions.